The goal of this project is to design, prototype, and test a novel radiation tolerant flight computer. Our system uses a fault mitigation strategy that can detect, recover, and repair damaged regions of a computer using tile-based reconfiguration of a reprogrammable hardware fabric. This type of spatial fault mitigation has the ability to recover from the three main types of radiation effects observed in aerospace flight systems implemented on reprogrammable fabrics: Single Event Upsets (SEU), Single Event Functional Interrupts (SEFI), and Total Ionizing Dose (TID). 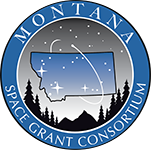 This project will build upon existing research that has been conducted over the past two years at Montana State University (MSU) under the direction of Science-PI Dr. LaMeres. In this previous work, a prototype computing system has been developed and demonstrated in the laboratory that can continue operation in the presence of emulated faults caused by all three of the above mentioned radiation effects. In this project, we will mature this technology from Technical Readiness Level (TRL) 3 to TRL-5 by testing our system in the Radiation Effects Facility at Texas A&M University. As part of this project, we will develop the necessary support hardware to facilitate ion chamber testing and characterize our computer system's fault tolerance. The specific tasks of this project include: 1) increasing the complexity of our computer system for testing in a representative environment; 2) development and packaging of a spatial radiation sensor; and 3) development of a spatially aware configuration RAM verification circuit (typically referred to as a scrubber).